Open floor plan & Fenced yard & Lake view! 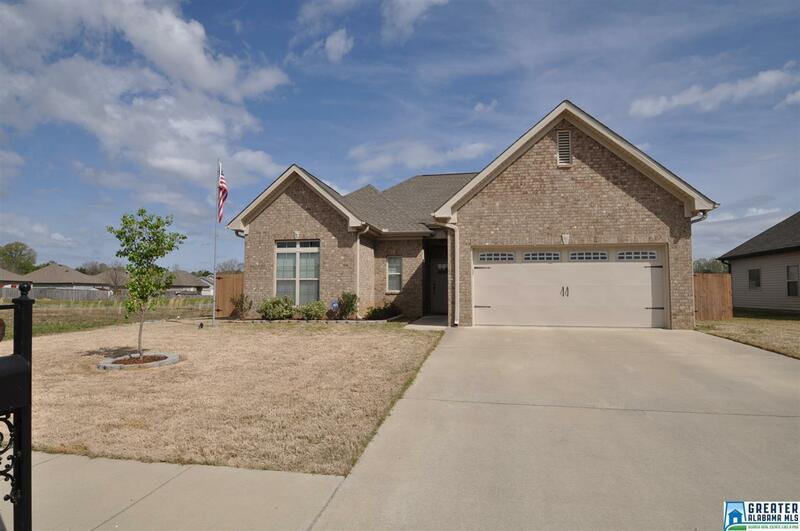 Gorgeous 3BR/2BA w/ fenced yard on the lake! 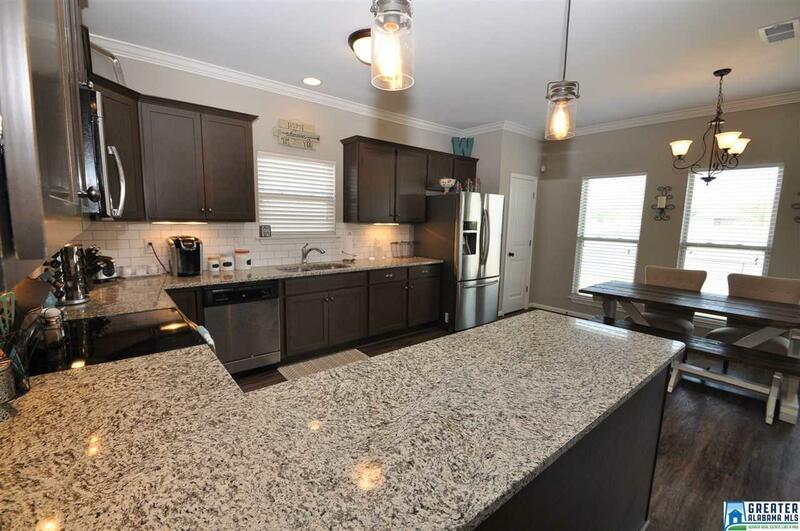 XL Open eat-in kitchen w/ Granite, stainless apps & pantry. Large Walk-in laundry room--not a closet. 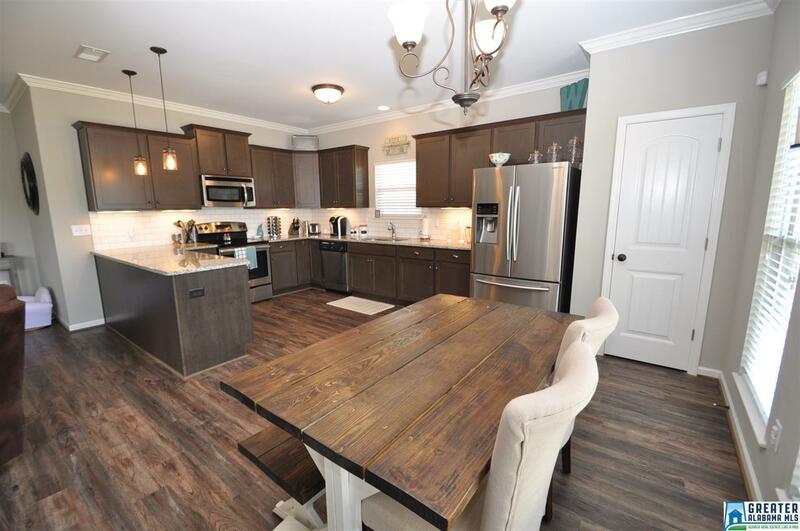 Open Great room w/ hardwood look vinyl floors, tray ceiling, gas fireplace w/ gas start switch. Master suite w/ tray ceiling, walk-in closet, private bath w/ his/her sinks, garden tub & sep shower. Bonus drop zone/mud room w/ bench. Kids rooms & full bath away from master. 2-car garage, pull-down attic. 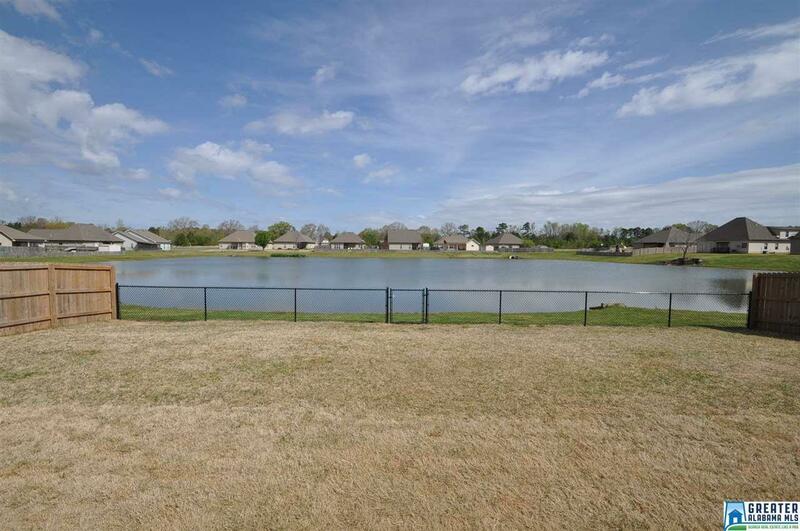 Lake view w/ one of the best fenced yards--Super for entertaining. Covered & open deck. All of this on circular street. Compare-Open floor plan, walk-in laundry, fenced yard, big rooms. Minutes to shopping & Publix, Plus this one is North Montevallo, closer to 65 & Alabaster than most. CALL TODAY! !